We can't get enough of good games in out house, this year, for Christmas presents and then some! Going back to a time where I had the most fun, I remember playing games at home as a family, interacting and passing the time without the need for T.V. or gadgets of any kind. My husband and I have 4 children between us and none of them are too young or too old to come and get involved with a game or two! It is nice, however, to spend some one-on-one time with each of them with different levels of play and these next 2 games I am going to share with you are from Educational Insights and work best for the younger members of the family! 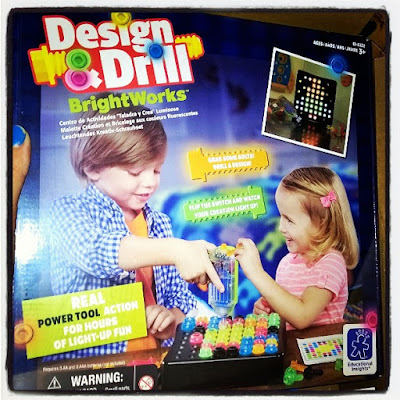 First up, we have the Design and Drill BrightWorks, which is best for ages 3 and up, and comes with a "power tool" that runs on a couple of batteries, that the children can use to drill pieces into a board to create fun patterns and pictures that light up for endless fun! This is a toy that inspires creativity and learning as well as dexterity, concentration and other skills needed to get the best foot forward. The sounds and motion of the drill are fun and there are several different patterns to follow to get the ideas flowing - and of course you can go your own way and design your own, too! My son is 2 and a bit and he is quite far ahead with the skills needed to use this game and so I let him have a go, supervised by myself and never alone, and he has fun with the pieces. My daughter, however, is 4 and she is great with the process but enjoys the end result more than the steps it takes to get there, so there is different elements of this to suit everyone. 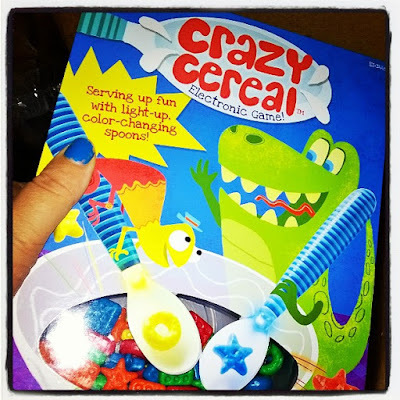 The next game is CRAZY CEREAL, which is just as it sounds and LOADS of fun!! You start of with a spoon, which lights up and the point of the game is to scoop up the pieces that match the color at the time or a free-play where you can pick any. The game doesn't last for long if you are already a pro, but for little learners the game can take a while, might be a little frustrating at first, but after a while becomes a great way of learning to recognise colors, develop their dexterity and motor skills and even math skills when you're counting up the pieces at the end. Kids learn and play without even realising the educational aspect of both of these games and that is what makes them such a useful tool, especially in our homeschooling environment where I am constantly looking for fresh ways to introduced the learning factor and keep it light at the same time! I am 100% into these games and they slip easily into our Holiday Gift Guide this year and I highly recommend picking them up! Older children can have fun with their younger siblings playing these games and adults can join in, too! They do both have small parts and so supervision is recommended! The best part is, they are not overly expensive and you really get your money's worth with the added benefits they provide a growing, curious, child! You can find out more about these, and other great toys HERE! You can also follow Educational Insights through social media like Twitter and Facebook, to keep up to date, too! 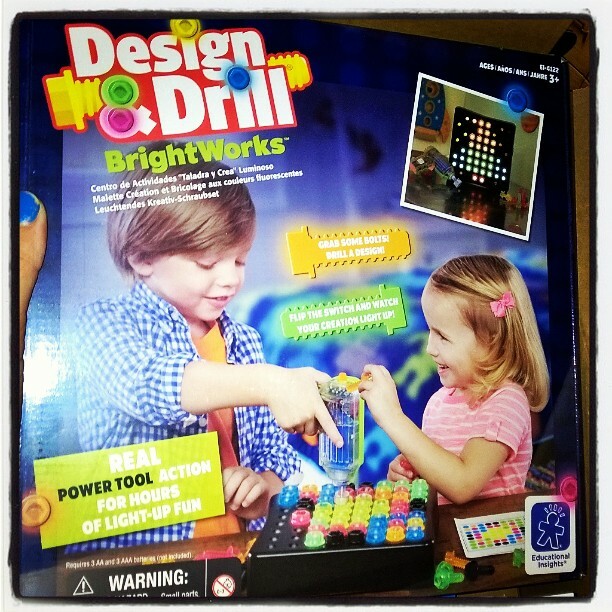 Keep on learning through play AND follow our gift guide with hashtag #MGBHGG for more! That Crazy Cereal game is so cute. I love cereal. I think my kids would love this. Thanks for the idea. The Crazy Cereal seems like it would be a load of fun. We had so many games and board games, but the kids ended up destroying them all that I haven't even bother buying anymore, but for Christmas I'm thinking of a few things. I miss game night. These games look like so much fun! I will have to check them out and see if they are ones to get my nieces and nephews for Christmas!